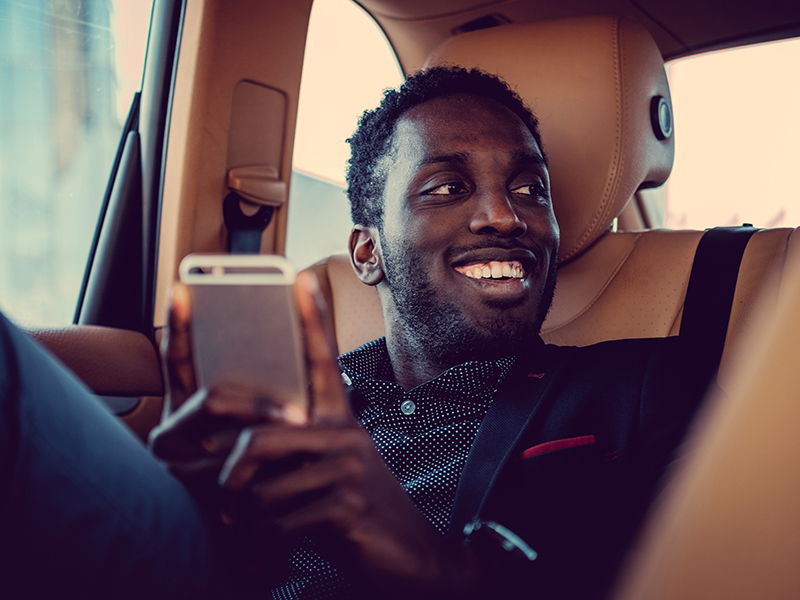 UberESCAPE is a travel match made in heaven between Travelstart and Uber South Africa. We’ve come together to give Uber App users a chance to get away from it all with local rides and flights for only R99! Read on to see how you can redeem this offer! If discovering your local routes has been on your to-do list for the longest time then now is your time to do it for less than you’d imagined! 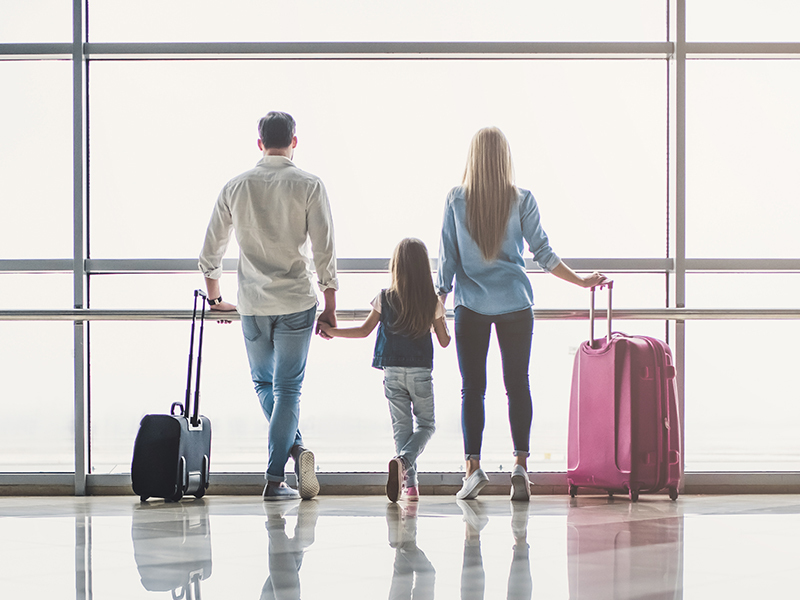 Whether you’ve been planning on visiting your family and friends or looking to explore more of your favourite local destination, we have your rides and flights covered. 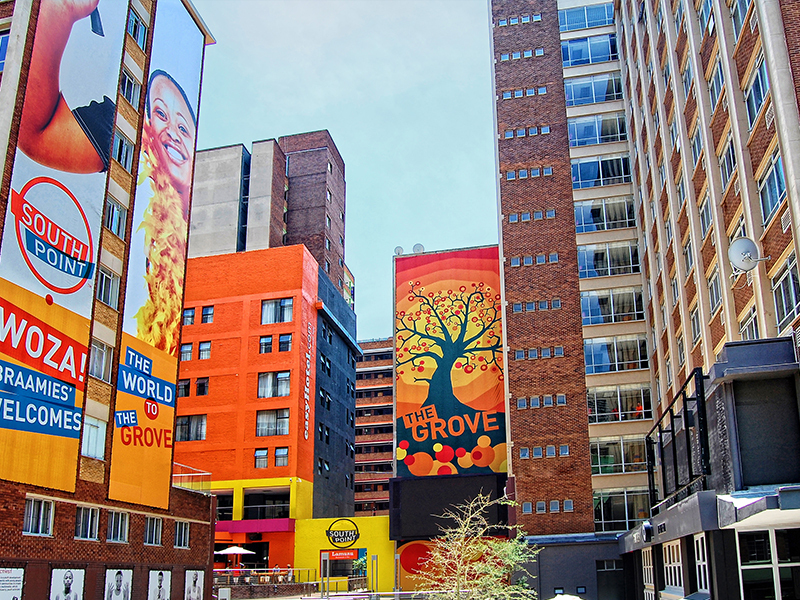 Discover South Africa’s leading local destinations like Johannesburg, Cape Town, Durban and Port Elizabeth. Don’t waste any time, take off with Travelstart and Uber from 9 – 11 May 2018 from 10 AM. New flights will be released each day! Receive R100 off each of your next 3 rides! It’s no surprise that this offer will sell fast, so drop everything and book on your Uber App right now. While seats last. T&C’s apply. *Bonus: If you also book international flights or holiday packages on UberEscape you also get 4 Uber vouchers worth R100 each. 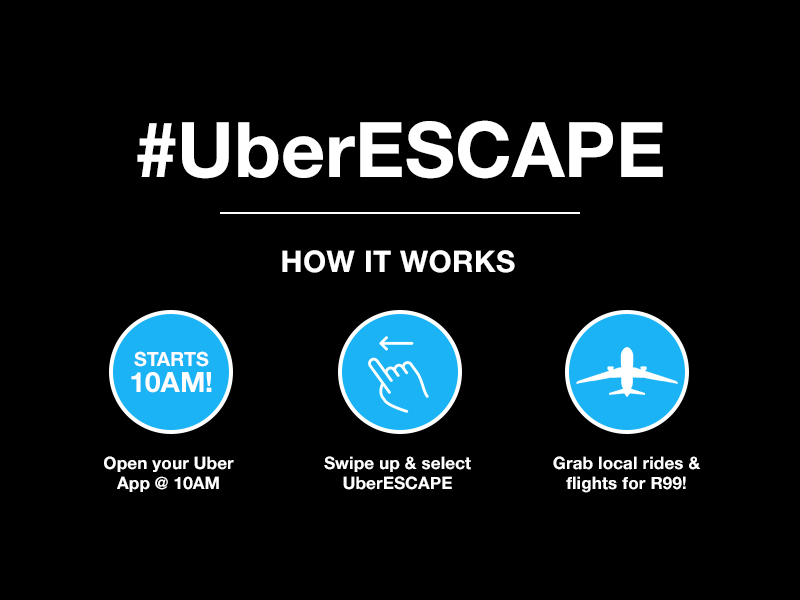 4 Uber Promo codes to the value of R100 each will be issued for flights and packages booked via UberEscape. Subject to Uber Ride Promo Code conditions below. Each Promotional Code will entitle the user to travel to and from the following airports: Cape Town International Airport, OR Tambo International Airport, Lanseria International Airport, Port Elizabeth International Airport and King Shaka International Airport. The value of the discount per ride, shall not exceed one hundred (R100) South African Rands. The value of the Promotional Code shall not exceed one hundred (R100) South African Rands. 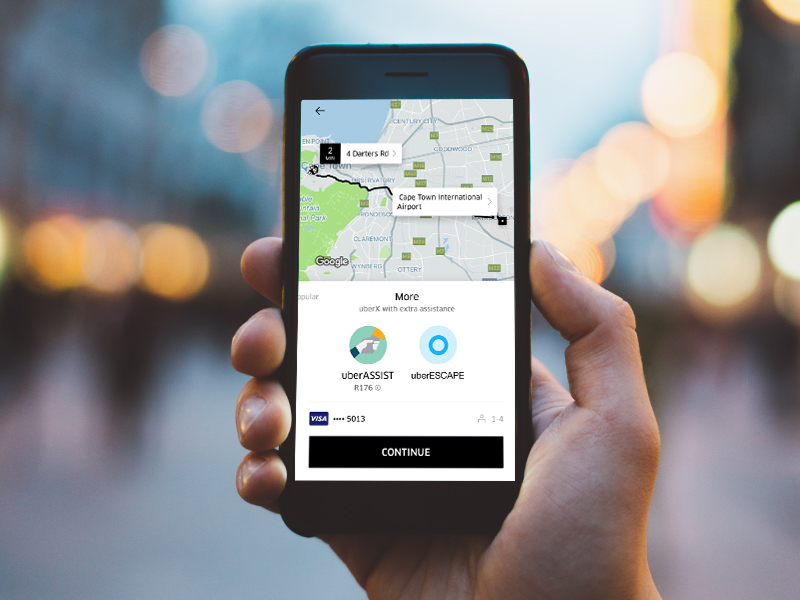 The Promotional Code can be used by eligible new and existing Uber App users. 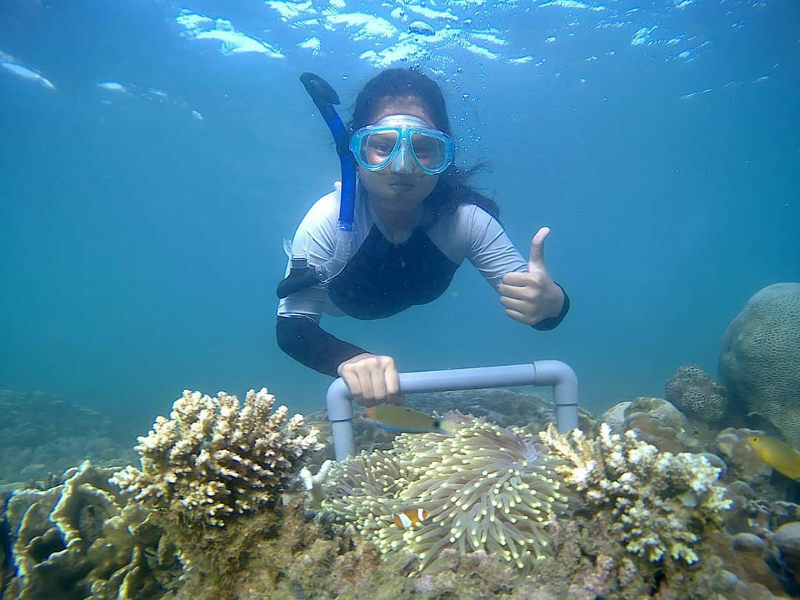 The Promotional Code will be valid during the Term of this Promotion and the trip must be taken during the Term. The Promotional Code may be used only once by each Uber App user. The entire redeemable value of the Promotion Code must be used on a single trip and any unused amount will be forfeited. If the single trip cost exceeds the total value of the Promotional Code then the remaining balance will be the sole responsibility of the user. The Promotional Code cannot be combined with any other codes or promotions. The Promotional Code must be entered before requesting the trip. Successful redemption of the code is subject to the availability of Uber partner-drivers at the time of requesting. Flight prices depend on exact dates of travel and the route. or by sending an email to live@travelstart.com with all details exact dates, routing, budget and number of passengers and one of our agents will get back to you with a quote within 2 working days. I need to book for a group consisting of 11 adults and 3 children from OR Tambo to PLZ and back. The dates are 6th July returning on the 8th July 2018. Exact dates of travel, routing as well as number of passengers and children’s ages. One of our agents will get back to you with a quote.